We are starting to see signs of fall here in Idaho. I love this time of year! Fall and winter are my favorite seasons. 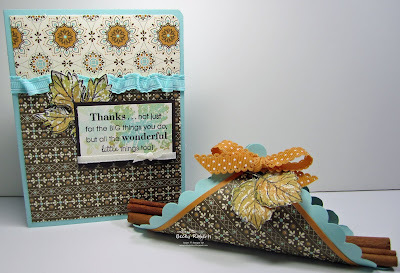 That is probably why I am in love this new Gently Falling leaf set from the Holiday Mini Catalog! 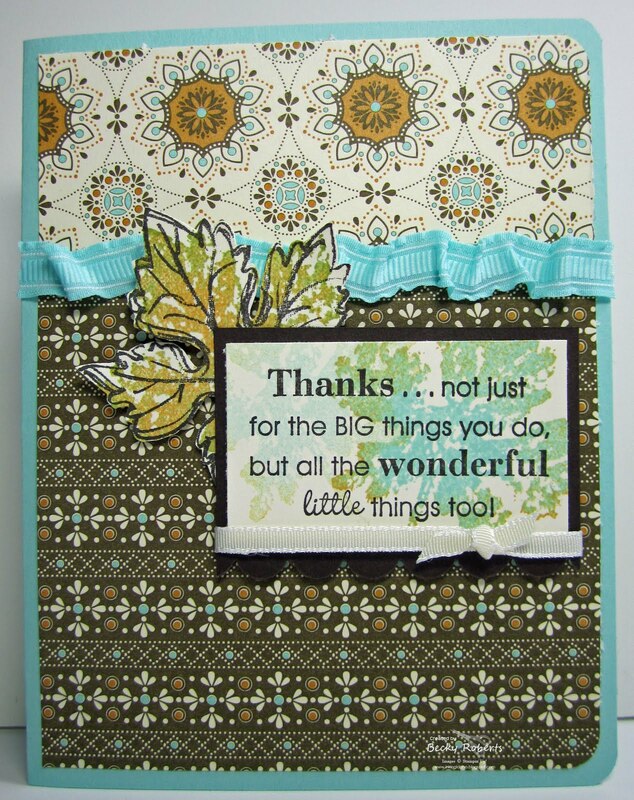 This is made with the Large Scallop Square die-cut. I rolled it corner to corner and tied it with ribbon. The cinnamon sticks smell so fall-ish...is that a word? This is just beautiful! I think I may have to use this idea for Thanksgiving.... use the little holder for place settings =) TFS!